While many cities have banned smoking in bars and restaurants, shisha bars are growing more popular and have long been considered a safer alternative to regular smoking. Now, a new study suggests that going to shisha bars can be dangerous for your health. Shisha is a type of flavored tobacco that can be smoked using a vaporizer or water-pipe. Shisha originates from Arab countries, but it now has become more popular in many Western countries. Shisha bars allow patrons to smoke shisha, sharing a pipe with their friends or colleagues. Many people believe that the water pipes help filter out any toxins or pollutants in the shisha. However, a new study from the U.K. has found that shisha may actually be more dangerous than previously believed. In the study, commissioned by Birmingham City Council, the air quality of shisha bars was investigated for the first time ever in the U.K. Environmental health officers and University of Birmingham researchers analyzed the air quality of 12 shisha bars in the city. The study found that pollution levels inside shisha bars were higher than those in polluted cities like Beijing. The pollution within the shisha bars was high enough to be considered dangerous and possibly cause health problems. Both carbon monoxide (CO) and fine particulate matter (PM2.5) were found to be elevated well above normal levels. CO can cause adverse reactions like headaches, dizziness, nausea, and seizures, as well as damage to organs like the heart. In high enough concentrations, CO can cause comas or death. PM2.5 is associated with heart disease, lung cancer, and other respiratory illnesses. According to the study, CO levels were 11 times higher in shisha bars than they were outdoors, while PM2.5 levels were eight times higher than outside. These levels were higher than those found in restaurant kitchens or at the sides of major roads. In fact, shisha bars were more polluted than bars that allow cigarette smoking. Beijing has been dealing with dangerously high pollution levels for years. However, according to the results of the study, the PM2.5 levels in shisha bars were nearly double those found in Beijing air. The results of the study indicate that people who go to shisha bars could be exposing themselves to dangerous levels of pollutants. Not only would they be breathing the air, but they would also be directly inhaling tobacco, which is a known carcinogen. Even if you don’t go to shisha bars, the results could still be of concern. The researchers believe that some of this pollution could be affecting the outdoor air in areas with shisha bars. 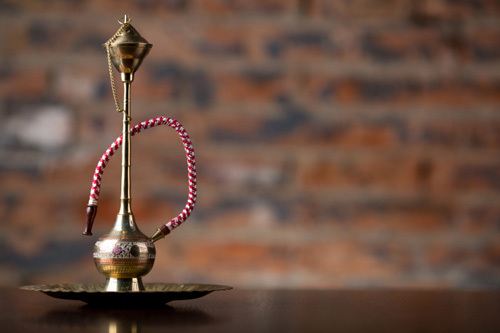 While the study has found that shisha bars could pose a significant health risk, it also found the majority of shisha bar owners were not aware of the health implications. 75 percent of shisha bar owners did not believe that there was any health risk to their customers. The results could lead to more cities banning shisha bars. Last year, Toronto, Canada, made news by banning shisha bars. Gurung, Gam, et al. “Effects of shisha smoking on carbon monoxide and PM2.5 concentrations in the indoor and outdoor microenvironment of shisha premises,” Science of the Total Environment (2016); doi: 10.1016/j.scitotenv.2015.12.093.